Parent Conferences are scheduled for November 13th - 16th. Dismissal time is 1:00 PM. 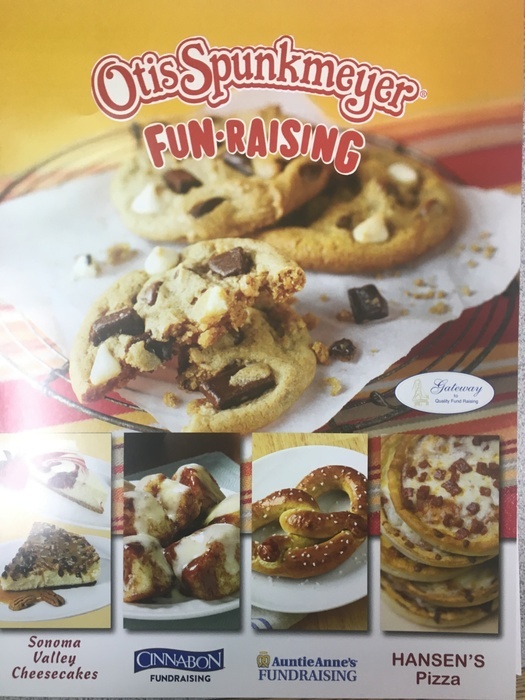 Cookie Dough Pick-Up is Friday, November 2nd from 1:30 - 5:30 PM in the Cafeteria. Nurtured Heart Approach Training, presented by Kay Paden, November 1, 2018 8:30 - 4:00 at Butte County Office of Education Boardroom. College Fair Wednesday, October 3rd 5 to 7 PM at Las Plumas High School Gym. More than 35 Colleges will be in attendance! Hope to see you there! 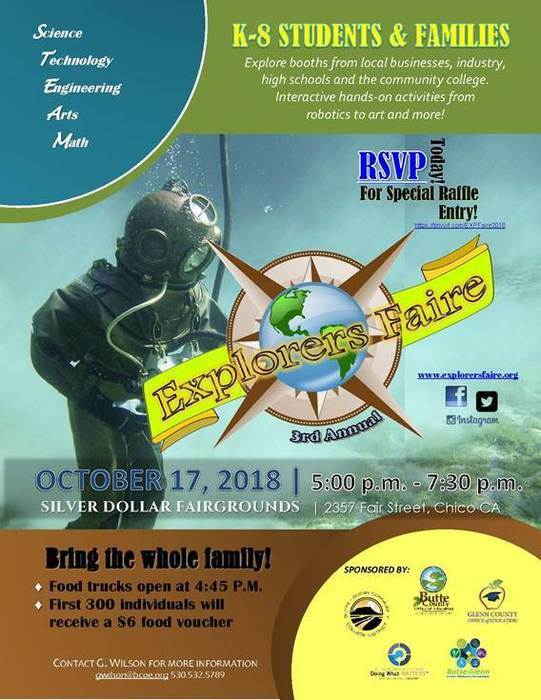 3rd Annual Explorers Faire, October 17th from 5:00 - 7:00 PM at the Silver Dollar Fairgrounds in Chico.